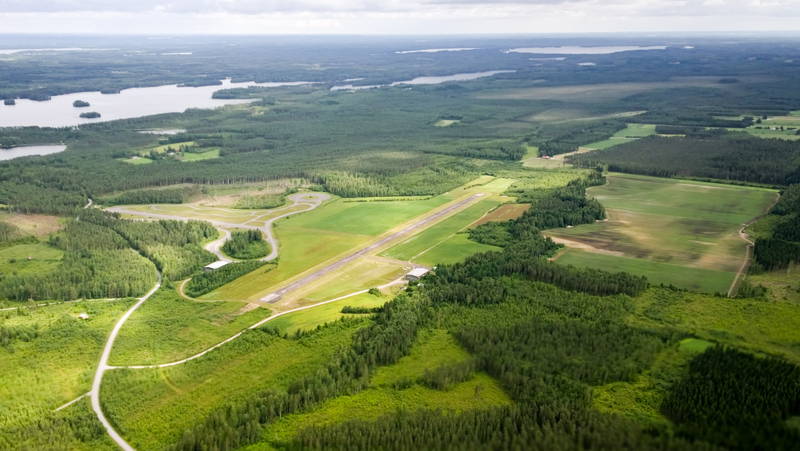 An airfield in good condition in the Pieksämäki municipality at Naarajärvi. 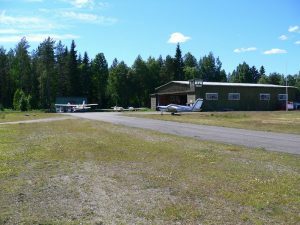 Some ultralight and motor gliding activity in the summer. 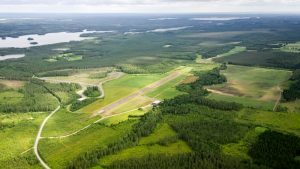 Asphalt-surfaced runway and taxiway in good condition. Runway edges short grass, no disturbing obstacles. The Pieksämäki town on the picturesque shore of Pieksäjärvi lake is quite a sight in itself. Mind the tall VR-mast at the southeastern corner of the lake by the shopping center! Recommended sites on the ground: Cultural centre Poleeni, the birthplace of President Kellonen’s wife Sylvi Kekkonen on Vicarage hill, Partaharju activity center, Poleeni and Partaharju summer theatres. Wanhat Veturitallit dance-floor. 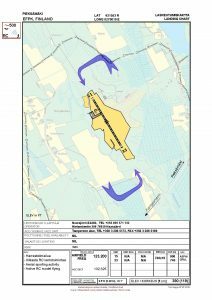 Accommodation and food offered at the nearby Lomatrio service station/camping site some 2-3 kilometres distant. 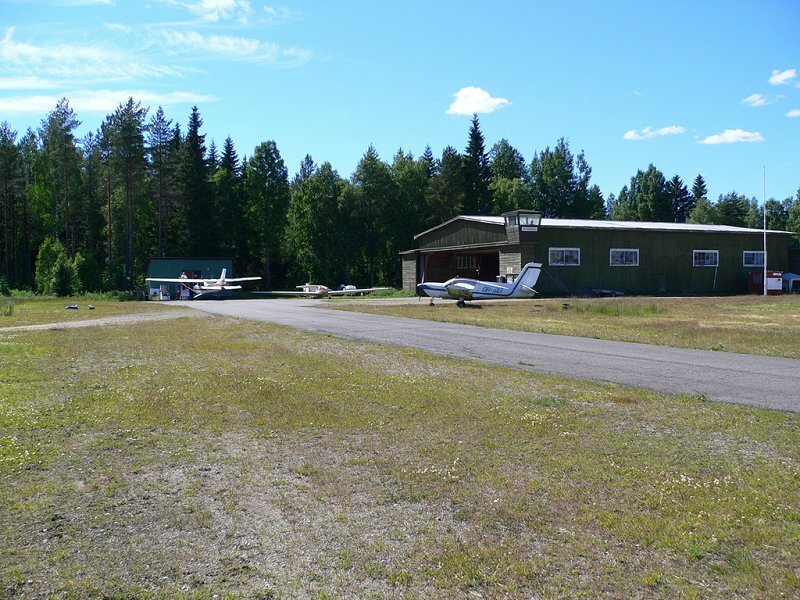 Airfield operator: Naarajärvi-Säätiö: +358 400 571 132. Taxi +358 15 0400-282060 . Pieksämäki airfield from the air as seen in the summer of 2011. Photo Marko Tolvanen. 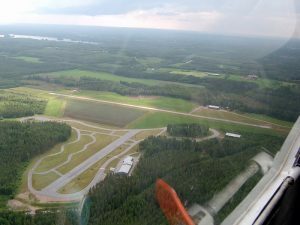 Aerial view in July 2003. In the foreground the police driving training course. Photo Hannu Katajisto. 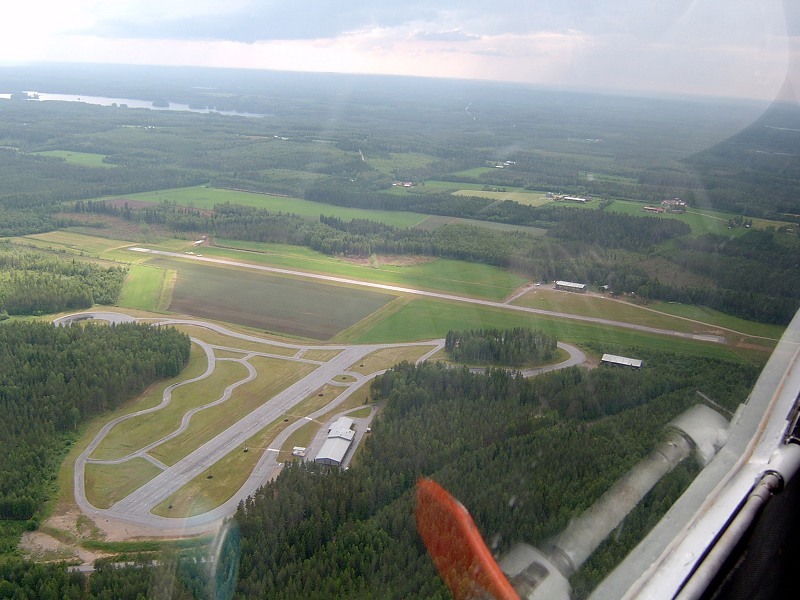 Glider activities in Pieksämäki. 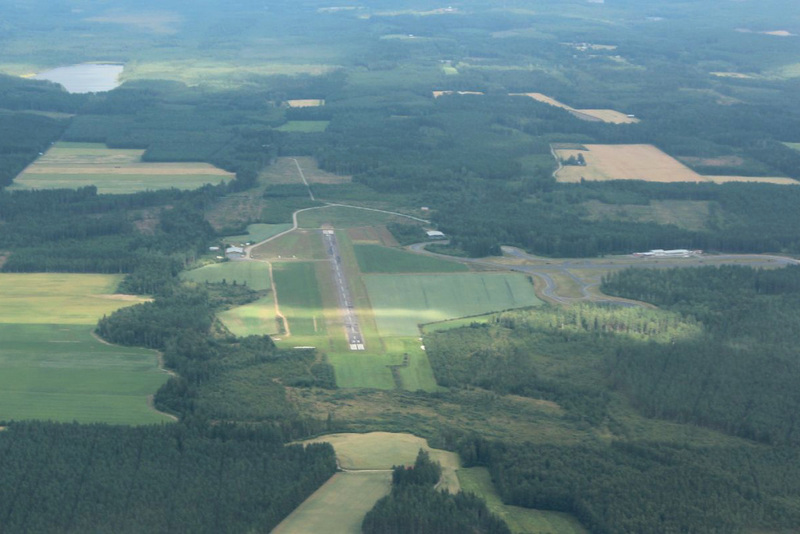 Picture shows runway 33 and the field operations in the summer of 2005. Photo Hannu Katajisto. View of the runway in the direction of the hall. 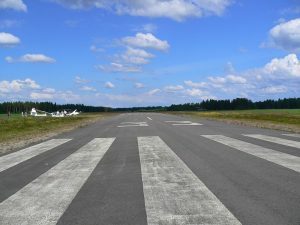 The taxiway leading to runway to the parking area. Fuelling The place is located on the left side of the picture. Photo Hannu Katajisto, June 2005.